Traveling in Europe and not coming to the Czech Republic means eating half the pie. With a lush of rolling fields, the magnificence of the historic bridge at sunrise, and fascinating architecture, this European country is a real pearl to enjoy and remember. Anyway, irrespective of the city's or country's beauty, you won't enjoy it to the full if a comfortable means of transportation is not provided. Will you admire every scene if you know there are kilometers to walk till your next destination? Surely not! 8Rental suggests booking a car and taking pleasure from every minute you spend here. Once you rent a chauffeured driven car in the Czech Republic, you will no longer have to worry about the inconveniences of traveling by bus, the high costs taxis charge and a series of other troubles. Get your driver and the vehicle type you need by applying to the leading European chauffeur service. By the way, we shall provide you with some extras such as free fuel, insurance, special discounts, etc. We undertake the payment of all fees and taxes! 8Rental does not limit the choices of its clients. Offering quite a large fleet of vehicles, this car supplier makes it possible for them to find that vehicle driving in which its customers will feel comfortable and relaxed. We offer a line of several cars including most popular models by such outstanding automakers as BMW, Mercedes, Audi, etc., as well as several minibus types, a large Mercedes, and a few luxury limousine options. Taking into consideration such vital factors as the number of passengers you plan to head to the Czech Republic, your budget and the purpose you visit this country, you may book any of the vehicles as mentioned above types. Are you in the Czech Republic on business? If yes, why don't you choose a Mercedes E class or any other business class models to hire a car with driver in the Czech Republic? The competent driver taking your order will deliver you to any destination fast and safe. You can work in the car to save time and have at least a couple of free hours to admire the country. Rent a chauffeured car in the Czech Republic right away! Rent a van with a driver in the Czech Republic if there are a dozen or even more of you traveling in the country. These are large vehicles designed to drive up to twenty-four passengers fast and secure long distances. 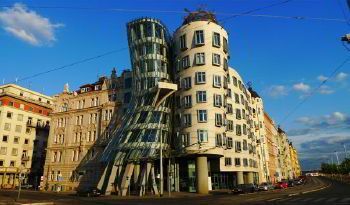 Are you planning to organize a grand tour in the Czech Republic? 8Rental gives you the possibility to rent a chauffeured bus in the Czech Republic on the most profitable basis. Mercedes Tourismo is a considerable vehicle equipped with all comfort features you may anticipate. It will drive along the country's roads smoothly and safely. Hire this coach with a driver, and you won't regret! Do you have an aim to make your visit to the Czech Republic unforgettable? Be sure; you can't do without a luxury limousine! 8Rental respectable car rental in Europe offers to rent a chauffeur driven limo in the Czech Republic and gives you the chance to choose a Chrysler c300, Lincoln Town Hummer H2 or other similar limos at an affordable price. Our staff of competent licensed chauffeurs is waiting for your order. 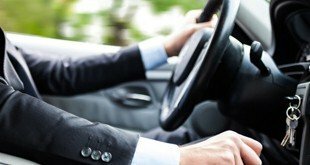 They can be trusted to the full as, having an impressive experience in the field of passenger transportation, these drivers guarantee safe driving in any direction you need to take! By hiring a vehicle from 8Rental, you may order the driver to meet you at the airport, railway station, or any other pick up address. We can send cars to Prague, Brno, Ostrava and other airports in the country! 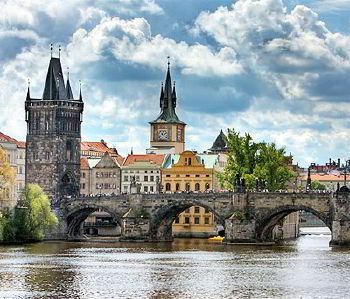 The Czech Republic is situated right in the heart of Europe and is annually visited by multiple tourists. People strive to get here to admire the fabulous ancient castles situated deep in the forests, fairytale landscapes, amazing natural sights and plenty of other enchanting places. Whether you are in Brno, Prague, Cesky Krumlov or any other destination in the country, you are welcome to incredible adventures! 8Rental will become your guide all through the incredible!